Since I have been absolutely silent (I know, hard to imagine!) 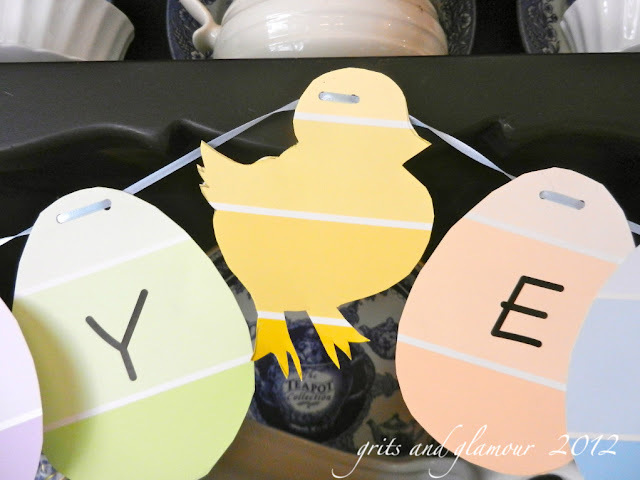 on Easter projects this year I asked my friend Barb from The Everyday Home to help me out. Barb is the host and underpaid writer behind The Everyday Home blog, formerly an older blog named Grits and Glamour. 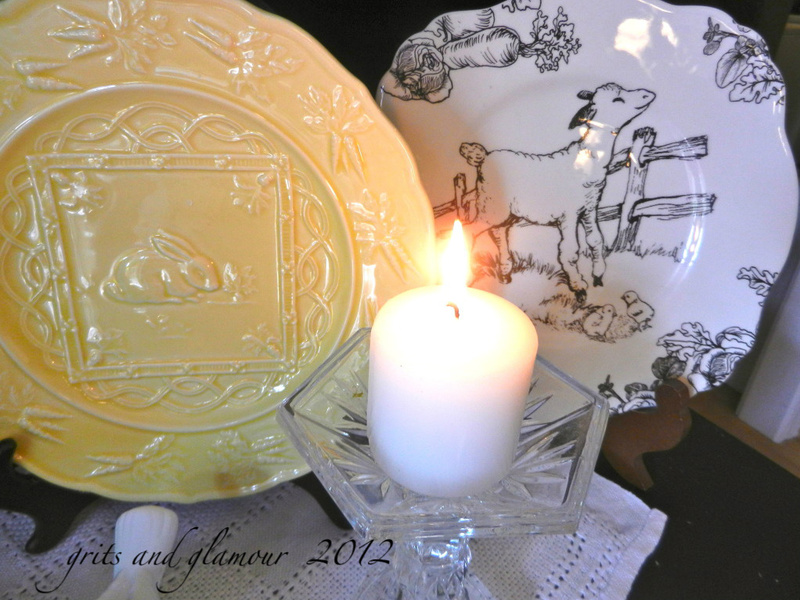 Decorating, DIY, crafting and cooking are her subjects du jour, but you might find a blog post or two about her European travels as well. You’ll love this easy and creative project which is Pinterest inspired. 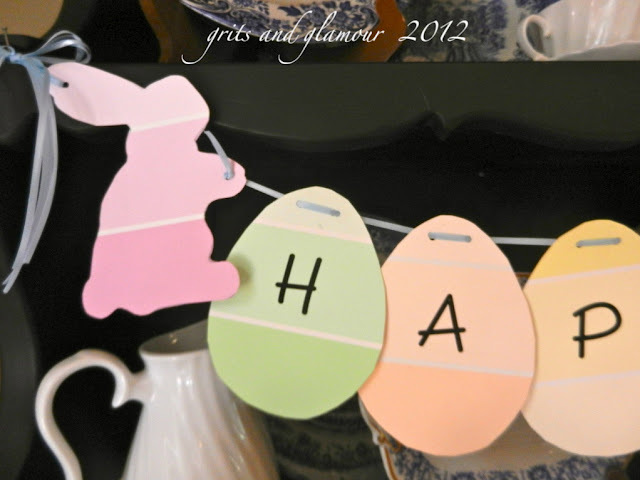 a few days ago in my “Easy Ideas for Easter” post? The Home Depot by offering me their paint chips. for $1.99 at Michael’s. I already had the ribbon in my stash. shows a series of eggs with progressing colors. I switched mine up by mixing the colors. the shape of a bunny and chickie. I love how it adds a fun touch of Easter to the breakfast hutch. 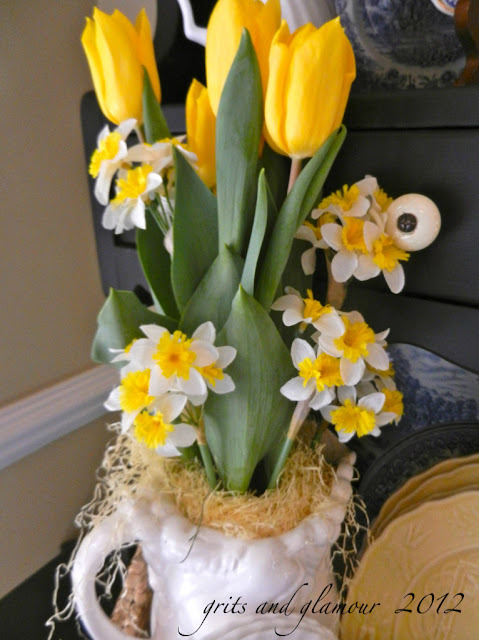 and I added just a few springs of silk daffodils, too. 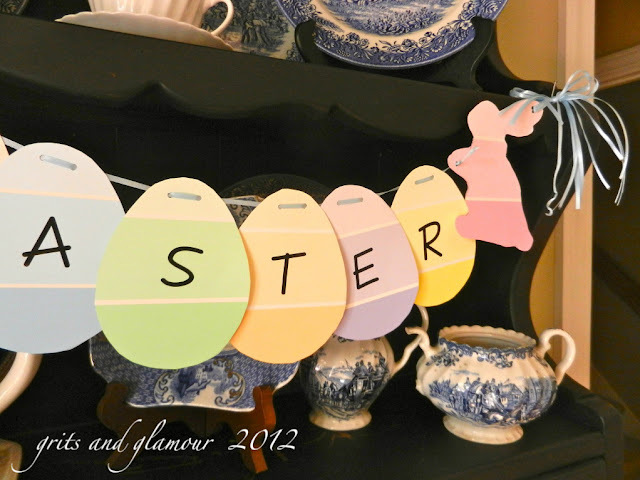 I’ll transplant these into the garden after Easter. 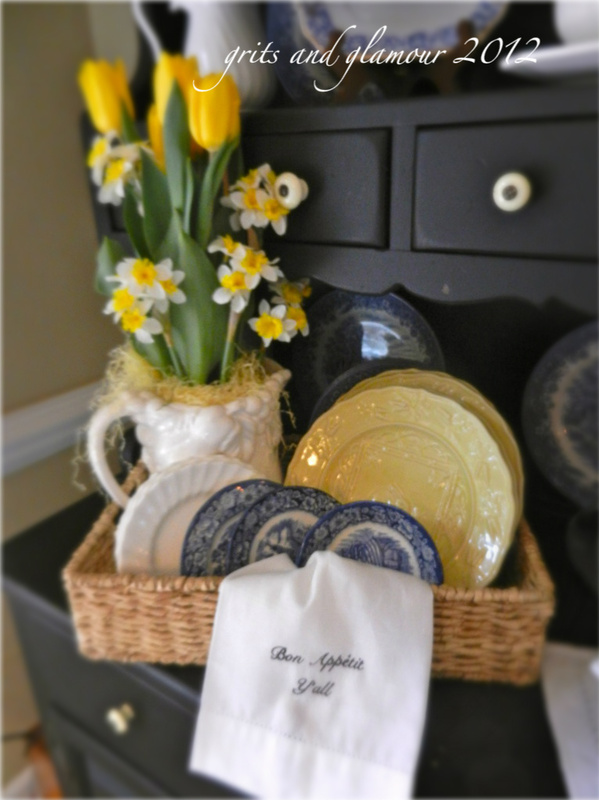 They are nestled in a wicker basket filled with some of my blue and white plates, and a few extra yellow Bordallo plates with the bunnies. 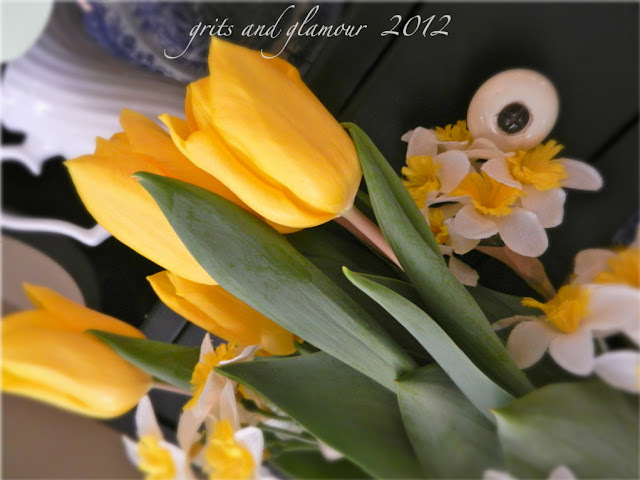 with a whimsical eye at times. 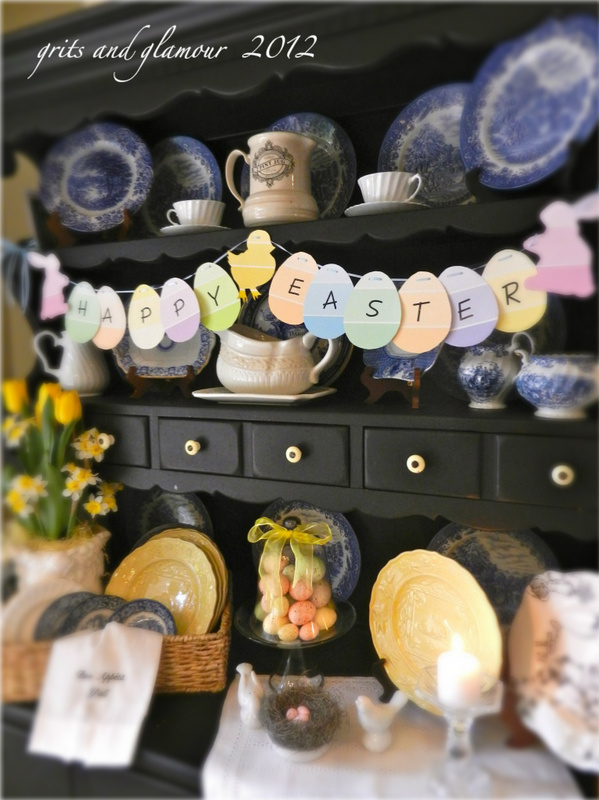 So – once again, thank you Pinterest for the Inspiration. 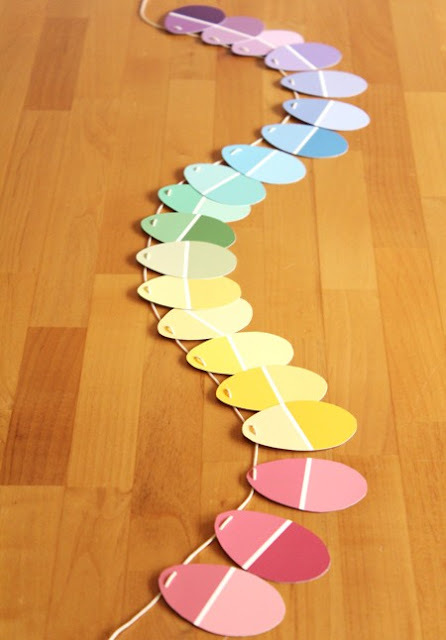 Thank you Home Depot for the Paint Chips. 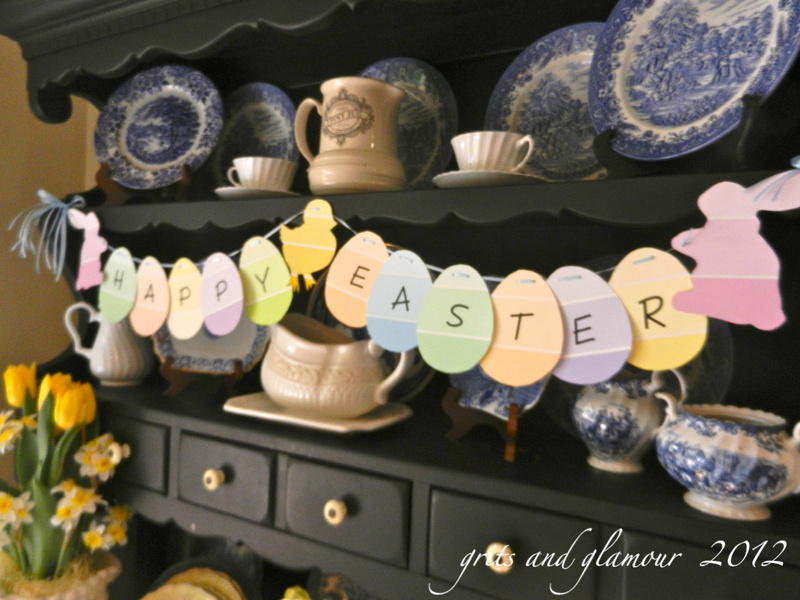 Click over to The Everyday Home to see how Barb came up with the rest of her Easter decor and the great ideas she has for school Easter baskets, placecards, dessert and beverage buffets. Thank you, Barb, for sharing this fun project with my readers! It all looks lovely, Marty, and adding the chicks to the banner really makes it. 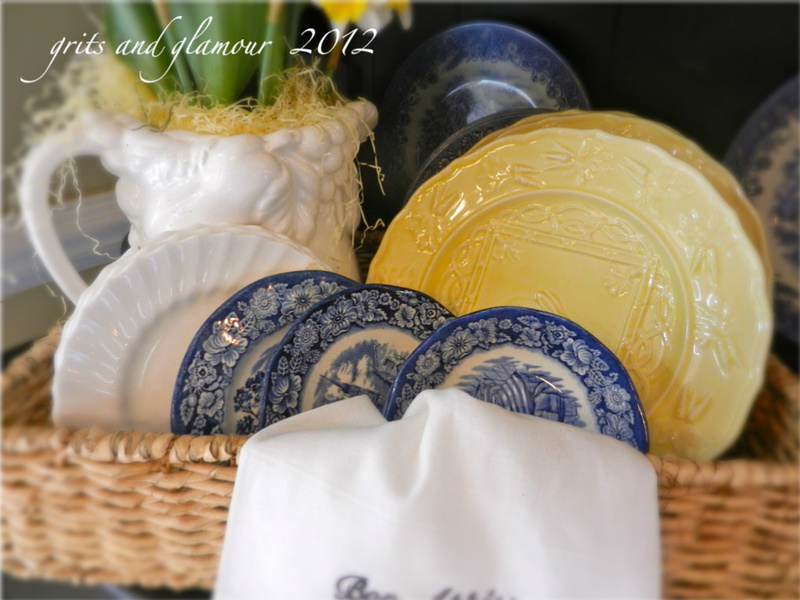 I love your blue transfer plates and they work perfectly with your decor! I really like this look. Thanks for sharing.